I loved the tiny alleyways and sand stone architecture of the old Jaisalmer fort. We were lucky to stay within the fort walls for three nights enjoying the beautiful city views on the rooftop in the evening over a chai tea and curry. 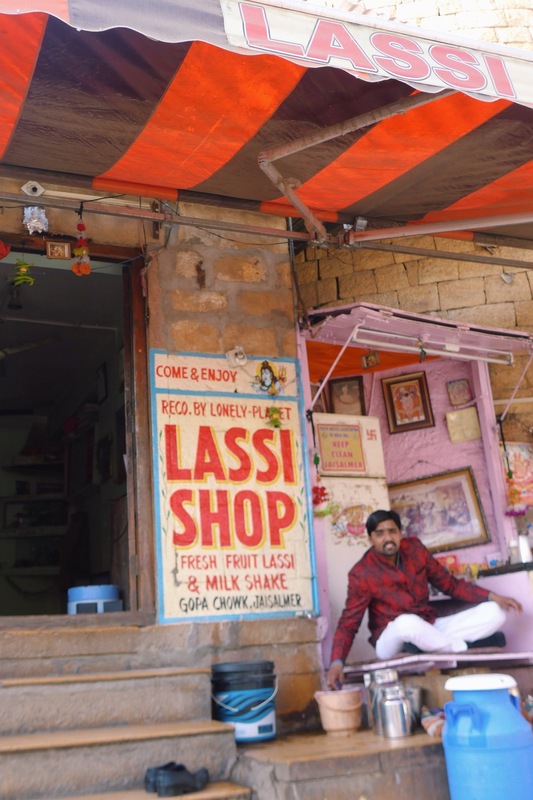 Jaisalmer is located in the heart of the That Desert where locals scurry around to sell you embroidered sheets and miniature paintings.